nagfa wishes all Muslims Eid Mubarak. 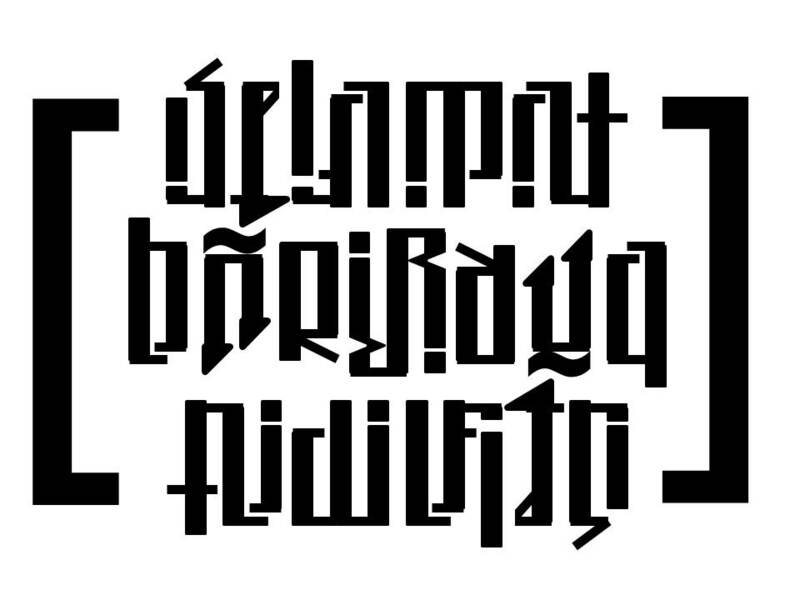 Selamat Hari Raya Aidilfitri! Our biggest project to date. 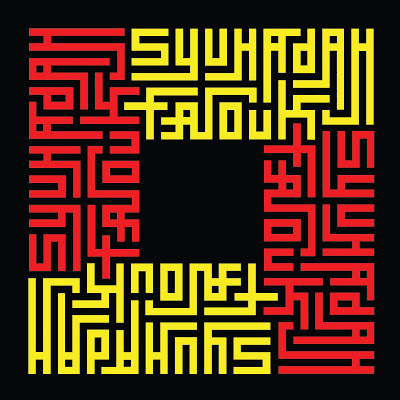 A kufi design (of our names) in carbon fibre. 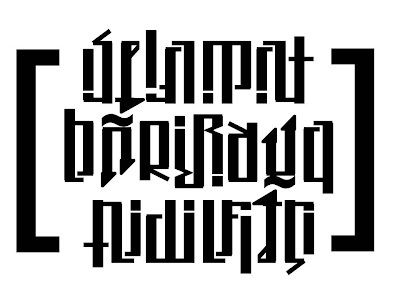 And Bismillah Al-Rahman Al-Rahim on the rear window. Thanks to the guys at De Calprit, who did a fine job. 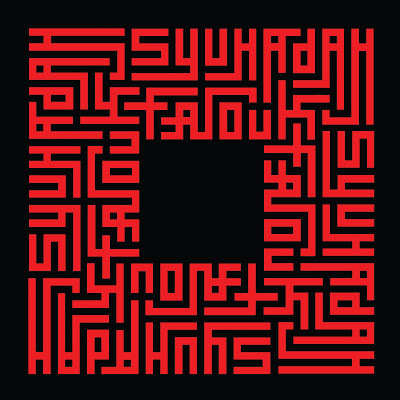 A square kufic reading 'Allah' in Arabic: Acrylic on canvas. Our own design. 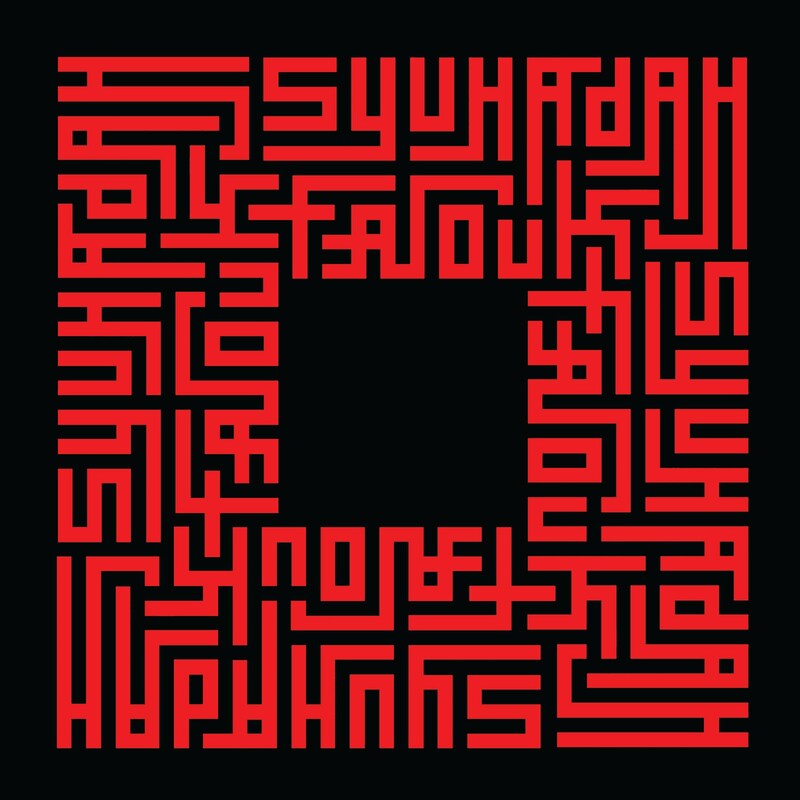 A calligraphic piece - a khat - reading 'nagfa' and our names, designed by Malaysia's awangpurba, one of the best we've known in the fields of Islamic art. His website: here. 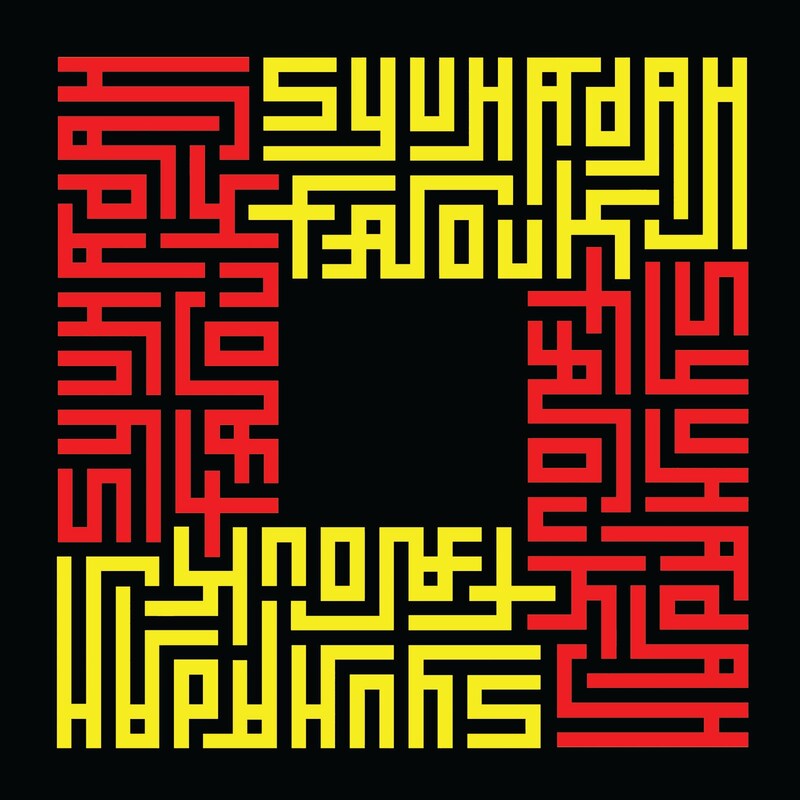 It's the month of Ramadan, the fasting month. A mere three weeks from now, Muslims all over the world will be celebrating Eid Mubarak, or Hari Raya as it is known here in these parts. For most of the young ones, celebrating Hari Raya is not complete without visiting relatives and friends, and of course, the receiving of 'the green packets', where a token sum of money is usually slipped in. Though, a part of us does feel a sense of accomplishment having a design used, of course the other part is of disappointment. The proper permission was not sought, no credits were given. At the same time, a small (perfectionist) part feels that that design can be improved. 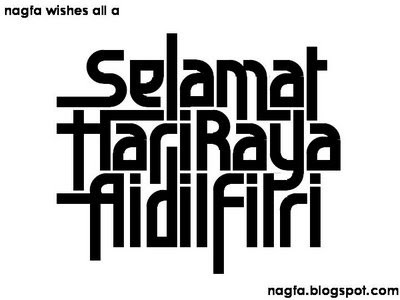 We had always noticed that the height of the letters in 'Aidilfitri' is taller than those in the first two lines. Which makes the piece seem incomplete. Nevertheless, another lesson to be learnt. 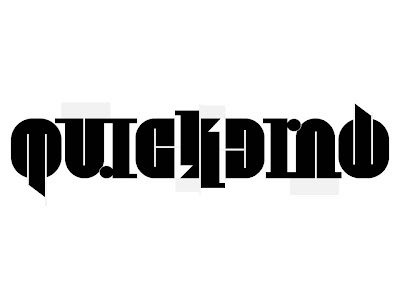 This post has nothing to do with ambigrams, and we foresee more of such posts in the near future. Early this year, we were given the task to design a logo for a joint exercise between Singapore's National Environment Agency (NEA) and the Malaysian counterparts. 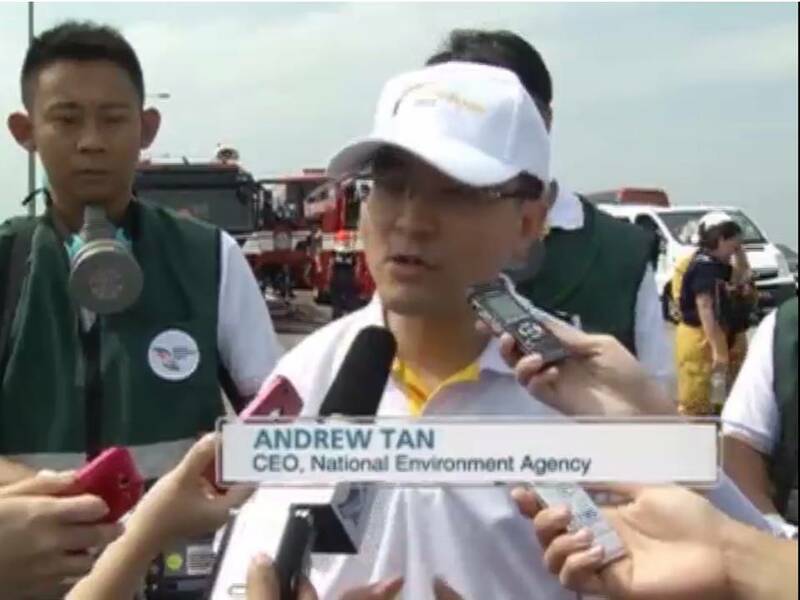 The name for this exercise was ChemBridge, and it involved the emergency evacuation and containment of hazardous chemicals spilled along the bridge linking the two countries.